The picture tutorial for making these quick and easy Envelope Favors using Stampin' Up! 's Envelope Punch Board from a 5 x 5 in. square of paper has been so popular that I decided to make a video tutorial. Here are some of the favors I have made including the Christmas one from my original post. The tutorial in that post also shows how to make the bow using the large oval punch. Many thanks to those of you who pinned that tutorial on your Pinterest board. 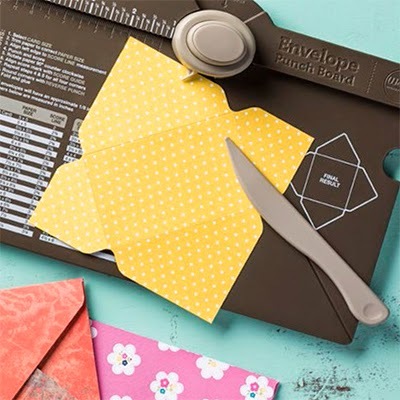 In addition to the instructions for making your envelope favor, this video also shows you how to make a small bow using the envelope punch board. 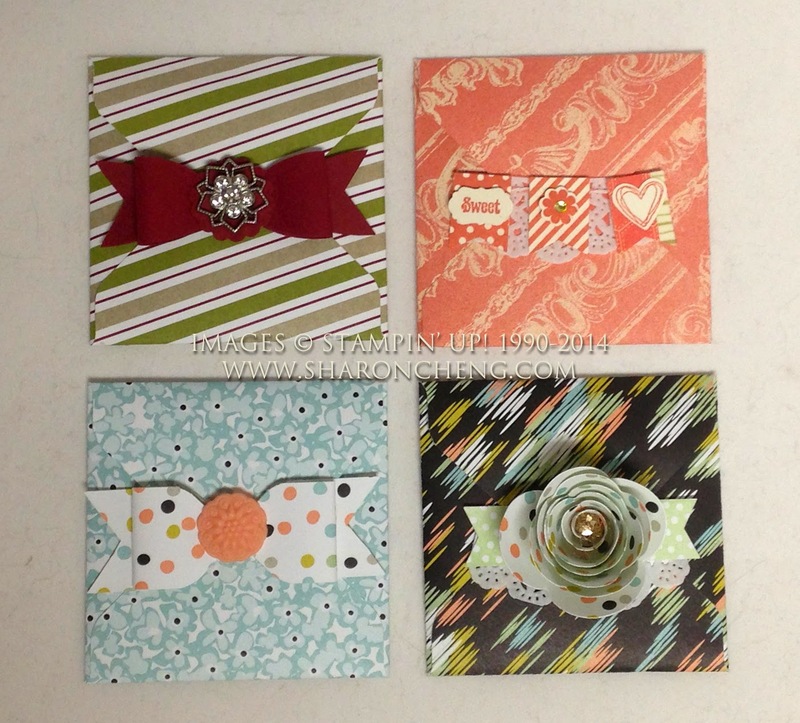 You can see other ways to use Stampin' Up! 's Envelope Punch Board on my Sharing Creativity and Company YouTube Channel. Shop with me through my online store to get your supplies for this project. Remember that when you purchase $25 or more in product, you are eligible for my Rewards Program.